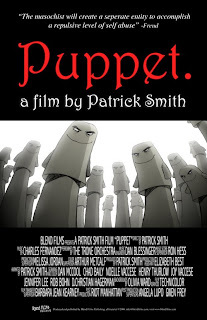 Puppet has won several recent awards lately, since it's premiere at the Tribeca Film Festival in 2006. 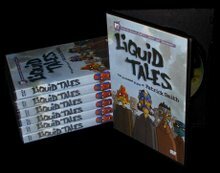 Most recently, it won Best animation at Arizona Underground Film Festival, and also at Naperville Independent Film Festival. Awards are fun to get.. it's always nice to get recognized for your work. It wasn't too long ago when i swore that i just COULDN'T win anything. my first film "Drink" screened for over a year with not a single prize. Best Animation, Northampton Independent Film Festival, 2006. 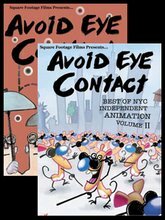 Best Animation, Action on Film Festival, Los Angeles, 2006. Best Animation, Griffin International Film Festival, 2006. Best Animation, Grand Festival Award, Berkeley Film Festival, 2006. Best Animation, Phoenix Film Festival, 2007. Best Animation, Backseat Film Festival, 2008. 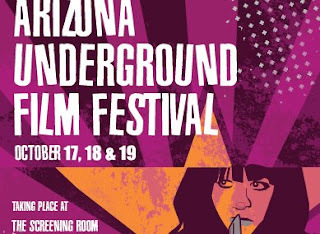 Best Animation, Arizona Underground Film Festival, 2008. Best Animation, Naperville Independent Film Festival, 2008. Honorable Mention, Signals International Film Festival, UK, 2006. Honorable Mention, Smogdance Film Festival, 2007. Third Place, First Glance Film Festival, Los Angeles, 2006. Runner Up, Asheville Film Festival, 2006. Third Place, Lake Havasu Film Festival,AZ, 2007. Second Place, ASIFA-East (Association Internationale du Film d'Animation), 2007.